Internet giants and service providers typically don't use specialized storage platforms in their sprawling data centers. Instead, they buy vast amounts of capacity in the form of generic hardware that's controlled by software. As users flock to cloud-based services, that's a growing business. Revenue for original design manufacturers that sell directly to hyperscale data-center operators grew by 25.8 percent to more than US$1 billion in the second quarter, according to the latest global IDC report on enterprise storage systems. Overall industry revenue rose just 2.1 percent from last year's second quarter, reaching $8.8 billion. These so-called ODMs are low-profile vendors, many of them based in Taiwan, that do a lot of their business manufacturing hardware that's sold under better known brand names. Examples include Quanta Computer and Wistron. General enterprises aren't buying many systems from these vendors, but the trends at work in hyperscale deployments are growing across the industry. Increasingly, the platform of choice for storage is a standard x86 server dedicated to storing data, according to IDC analyst Eric Sheppard. 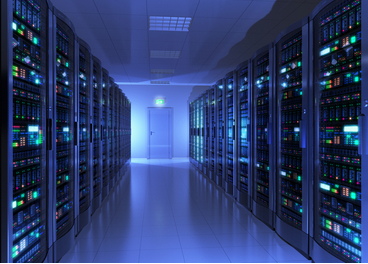 Sales of server-based storage rose 10 percent in the quarter to reach $2.1 billion. Traditional external systems like SANs (storage area networks) are still the biggest part of the enterprise storage business, logging $5.7 billion in revenue for the quarter. But sales in this segment were down 3.9 percent. The smarts that used to be built into dedicated external storage systems are now moving into overarching virtualization systems that aren't tied to hardware, Sheppard said. The software, not the hardware, defines the storage architecture. Like computing power, storage can now be managed per virtual machine instead of per unit of storage, which can simplify management and reduce enterprise operating costs over the long term. All these changes are just beginning to play out and should keep accelerating for the next five years, Sheppard said. "It's very early days." The cloud and virtualization trends didn't reshuffle the main players in the second quarter but may have influenced some of their results. EMC remained the biggest vendor by revenue with just over 19 percent of the market, followed by Hewlett-Packard with just over 16 percent. EMC, which sells newer technologies like solid-state and software-defined storage but is also deeply invested in traditional platforms, dropped 4 percent in revenue, IDC said. Other hot trends in storage systems include the growth of startups selling all-flash arrays and the increasing popularity in China of homegrown vendors like Huawei Technologies, Sheppard said. Overall demand for storage capacity continued to grow strongly, with 37 percent more capacity shipped in the quarter compared with a year earlier.